Marketforce has promoted three staff following new business wins and development. 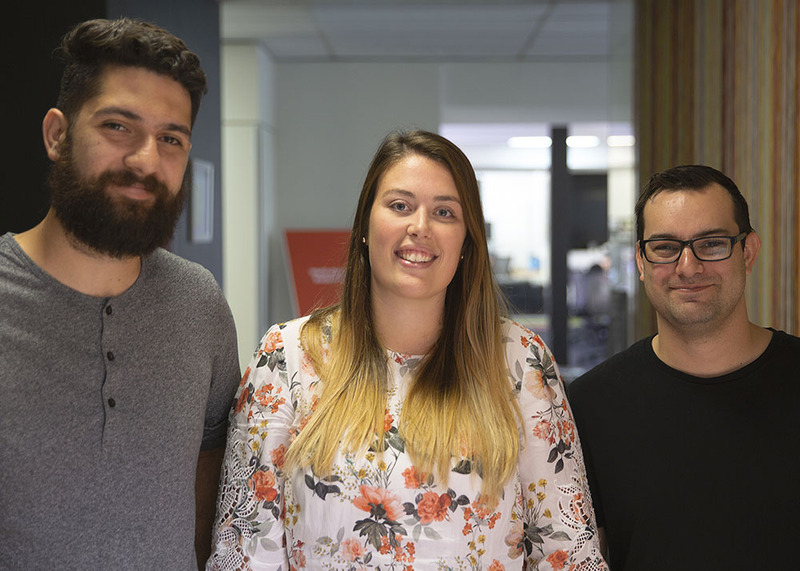 Digital duo Chris Andrawes and Ben Derham – key members of the team that won a Bronze Lion at Cannes last year – have been promoted to Digital Director and Technical Director respectively. Their new roles will see them lead the expanding digital team. The Agency has also promoted Adrienne Lang to Senior Client Manager. Lang has been with the business since 2016 and worked on a broad range of clients. In recent months, she has taken a significant leap on-boarding new business win Hyundai and other key client projects. “Adrienne is a natural marketer with client management prowess,” said General Manager of Client Solutions Nicole Cikarela. “We are pleased to enable her continued growth on more complex and interesting projects”.